When I first became more interested in fashion, fast fashion retailers like Forever 21 and H&M were my go to. I didn’t have a lot of money to spend, and these stores are convenient, inexpensive, and have every trend imaginable. But I started to realize how unsustainable this business model is. Mass-producing trend after trend is not only hurting the environment, but it’s hurting the people who make these clothes. It’s important to be aware of the impact our purchases have, so here are a few facts about fast fashion and tips on how to combat it. Fashion is the second largest polluting industry in the world. Second only to oil! (EcoWatch). Because of how much we’re consuming, fast fashion companies are pumping out new inventory non-stop. Fashion is costing our planet big time. “It takes around 700 gallons of water to make a cotton shirt, and 2,600 gallons to make a pair of jeans,” (National Geographic). 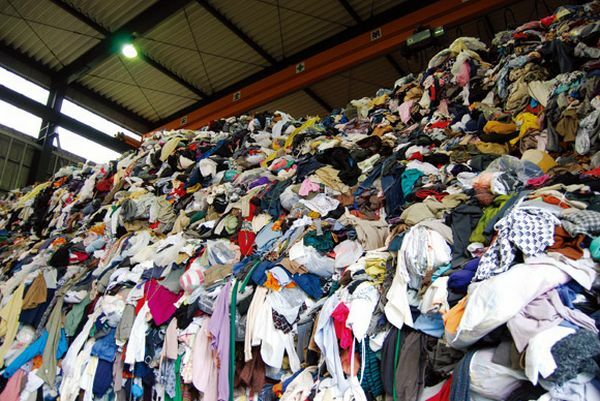 The fashion industry makes around 400 billion square meters of textiles annually and it’s estimated that around 60 billion square meters are cutting room floor waste. (Fashion Revolution). In a survey taken of 91 fashion companies, “only 12% could demonstrate any action at all towards paying wages to garment workers above the legal minimum.” In fact, “in Bangladesh garment workers earn just ¼ of a living wage,” (Fashion Revolution). So while a t-shirt costing only $10 seems like a great deal, someone somewhere is bearing that cost, and so is the environment. But how can you get involved and make a difference? Research! The more I started learning about the fashion industry the more I was able to take action. Do some of your own research or check out blogs and companies that are working against fast fashion. Check out The Fashion Revolution for some great reading materials and tips. Don’t support fast fashion companies. At the end of the day one of the biggest ways you can help is to stop shopping at fast fashion stores like Forever 21, H&M, and Zara. While it may be difficult at first, try investing in more expensive pieces that will last you longer anyway. Consume less! One of the best ways to stop contributing as much to the environmental impact of fast fashion is to stop buying as much. Americans “buy twice as many items of clothing as they did twenty years ago.” (Green Peace). If you can’t imagine your life without shopping (which sometimes I can’t) then try secondhand shopping. Buying something pre-loved is a great way to minimize your impact on the environment! Small changes can make a big difference even if it doesn’t seem like it! If you’re at all concerned about the ethical aspects of the fashion industry, just take a step back and think a bit longer about your shopping habits. Being a conscious consumer isn’t as hard as it seems! 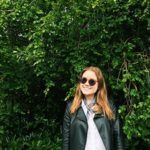 Kendra is a blogger passionate about combining fashion and sustainability. She shares ethical and sustainable brands, and small changes to live life more eco-friendly.